When a sanitary connection is essential. 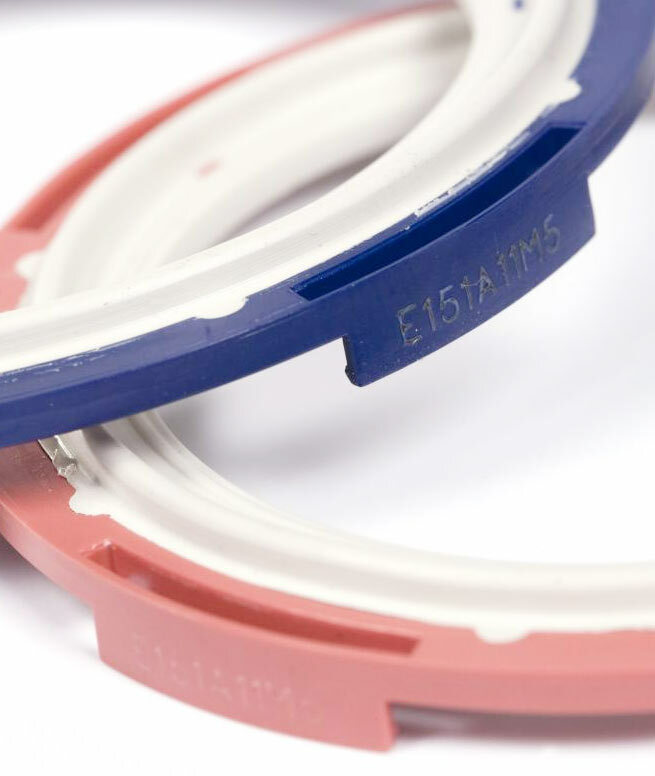 Gaskets and o-rings are used extensively in the Food and Beverage, Dairy, Biotech, and Pharmaceutical industries where a sanitary connection is essential to seal clamp connections in pipe lines. We supply special gasket packages to provide you with exactly the assortment of gaskets needed for equipment setup or maintenance changeouts. Our gaskets can advance your system’s performance, adjust flow rate, balance backflow and equalize back pressure. Installation is easy with our Type II, Flanged Tri-Clamp® sanitary gaskets that are manufactured with a flange for easy alignment. I-Line gaskets are designed to seal sanitary piping systems in pharmaceutical, food and beverage, and dairy industries. Smart Gasket® permits either top loading or inline positioning of the EZTest® self contained biological indicator and/or temperature probe. We are proud to introduce this unique technology that enables the use of a self contained biological indicator in sanitary process lines. SPS offers parts to fit Cherry Burrell®, Evergreen® and International Paper® Equipment. Our parts provide equal or better design with material features, meeting the evolving demands of a progressive industry. Our products service higher temperatures, provide unique screen meshes and perforated plate openings. We can also design filler replacement products that are specially tailored to your specific applications. Laser Engraved Hygienic Seals, Screens and Orifice Plates insure permanent batch and/or lot traceability. Engraved compound information can be used to replace color dot compound codes. Fittings, Tubing, Bulk Hose and Hose Assemblies We offer a complete line of 316L SS fittings, bulk hose and crimped hose assemblies. PVC and platinum silicone hose and tubing assemblies with molded TC ends are also available. We supply custom manufactured electrical heater hose assemblies. Sanitary thermoplastic fittings and clamps are available. If you need it, we have it for you. Consider our full range of Fluid Filtration technology when the complete elimination of particulates is critical to the CGMP in your injectable filled product, chromatography, columns, upstream particulate removal, or downstream filtration. Fluid filtration screen gaskets provide the most comprehensive range of stainless steel mesh and filter cloth which provide for particulate elimination to protect fill and finish sterile products, spray balls and spray nozzles. Need more information about Sanitary Gaskets?